As your Principal, along with the entire staff at Ramona Elementary, I would like to welcome you to our school and an exciting new 2018-19 school year . Terriers have SPARKed success! This past year we showed a dramatic double digit increase in the percentage of students who met their expected growth on our district MAP tests in all three academic areas for 1st through 5th graders - Reading, Math and Language, resulting in Ramona Elementary exceeding MVUSD’s target growth in all academic areas! We also excelled on California’s state test, CAASPP, doubling the district’s rate of growth in both Math and Reading, demonstrating that Ramona is a school rising to the top! Ramona Elementary staff and students also showed the SPARK to get us going in our first year as a Positive Behavior Interventions & Supports (PBIS) school, creating a brand new focus for all Terriers to be Safe, Positive, Active learners, Respectful and Kind. Along with emphasizing a safer school environment for our students to optimally learn, Ramona has also achieved the highest level of California state status for English Learner improvement, scoring five out of five, achieving the highest performance of all 23 elementary schools in Moreno Valley Unified School District! We’ve got a model ELD program with Project Moving Forward and Language Power - focusing on academic vocabulary and reading comprehension. We are proud of our school and confident that your children will have a safe, happy and productive school year. We invite you to be partners with us in providing the best possible educational program for our students. We encourage you to be a regular visitor and participate in your child’s education. Join us as we provide a dynamic education for the children at Ramona Elementary. I’m excited about working together with you this year in promoting open communication, teamwork, and dedication to ongoing improvement at Ramona Elementary School. I believe strongly in rigorous, relevant and responsible learning for your child to be more successful in school. You can expect that I will reach out to you and ask for your support, ideas, suggestions and involvement. I encourage you to join our team, the Ramona Elementary School family, where preparing children for the future is our number one priority. I pledge to do my best to ensure that each child is challenged, nurtured, and provided with a safe and stimulating learning experience. Every school day I will make every effort to be visible and accessible. Parent participation is a vital part of our school program. Our Ramona Terrier Booster Club, along with the School Site Council (SSC), the Local Control and Accountability Plan (LCAP), the English Learner Advisory Council (ELAC), the African-American Parent Advisory Council (AAPAC) and classroom parent volunteers are all important community partnerships in our school. Parents can also be involved by attending parent-teacher conferences, communicating with the teacher by phone, email or note, reviewing the school assignments with their child, ensuring their child reads every day for at least a half hour, and most of all contacting the school with any questions or serious concerns. Ramona Elementary will also be focusing more on improving student attendance. If your student misses class time, they miss out on learning. Good attendance ensures academic success. Now, with full day kindergarten at Ramona, every student in kindergarten through fifth grade should be attending school from 8:00pm–2:30pm (K-2:15pm) everyday but Flex Wednesday which is 8 - noon. Every minute is important in your child’s education. Please help us by scheduling medical appointments outside the school day. Tardiness to school and early sign-out interrupts your child’s education. Family vacations should be scheduled during school holidays or breaks. We hope that you will help us improve our overall attendance by making sure that your child is here at school each and every day. We have all worked together to build pride and “Terrier Spirit” in our school and our accomplishments, and we’re looking forward to an even more productive 2018-19 school year. Class adjustments will not be made until after a few days when the staff has the opportunity to account for every student and ensures accurate attendance. Please don’t forget to come to our Back to School Night on Thursday, August 23rd, starting at 5:00pm in the cafeteria. 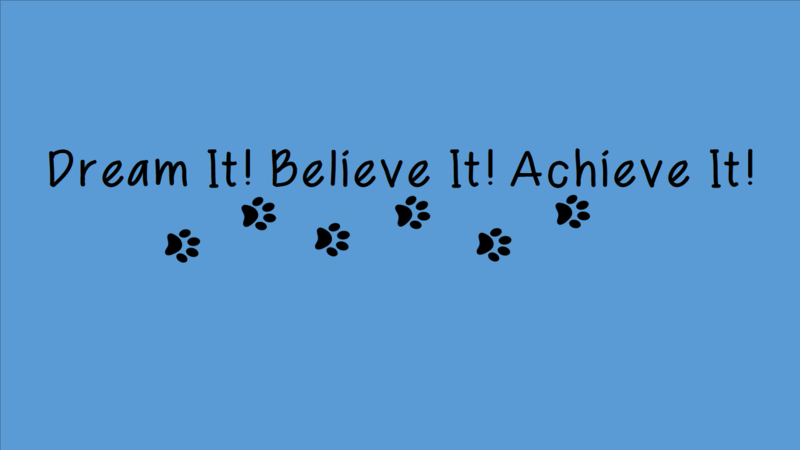 With everyone’s continued hard work and teamwork here at Ramona, our high expectation is for you and your child to keep dreaming big, believing in yourself, and achieving your goals. We’ll keep on transforming lives here at Ramona in a safe, successful school that’s moving above and beyond! Once again, Welcome to Ramona Elementary!